The signature of the Memorandum of Understanding on Day 2 of the 5th edition of DIMDEX marks the start of the contractual phase that will bring in due time MBDA coastal batteries to defend the coastline of Qatar. 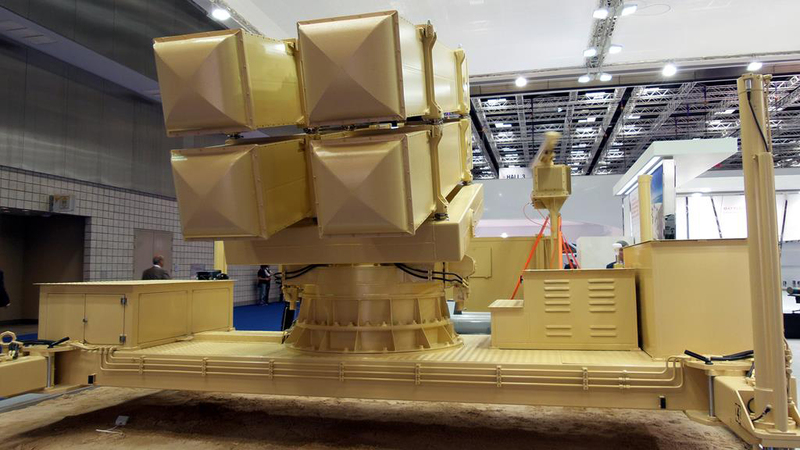 Compared to the system proposed two years ago and dubbed MCDS (Marte Coastal Defence System) the one selected by Qatar is a much more flexible and complete system. The main feature is that now the effector is not only the Marte ER, the two letters standing for Extended Range, but also the Exocet Block 3, which further increases the range as that missile has an operational range nearly double compared to the Marte. The mix of missiles will allow either to optimise the deployment, depending on a required range, or to deploy batteries with mixed launchers to ensure a layered defence in depth, as each battery, known as CDS (Coastal Defence System) can deploy up to four launch units of different types, the command and control element being missile agnostic. Each launcher carries four missiles, the launchers for the two missiles being obviously different due to the much bigger length of the Exocet. MBDA is also looking at a third effector in the form of the Otomat missile, the Italian Navy still considering a possible evolved version of what it calls Teseo. 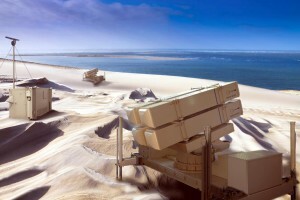 The CDS command and control suite can be provided in two forms, either a single shelter hosting both sensors and the C2 suite, or a two-shelter system, one dedicated to C2 and one to sensors, which can be deployed at 1 km distance linked by fibre-optics, a safer solution in case of use of anti-radar missiles by the enemy. The standard C2 shelter architecture includes two-console, each with two screens, one for the sensor officer and one for the tactical control officer, however, a third console can be added. The sensor suite includes radar and optronic systems; Italy’s GEM and Franco-British Thales are proposing their radars, respectively the Sentinel-200 and the GO-80, optronics being available from different sources. 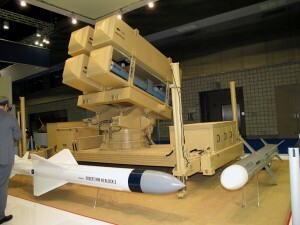 As the earth curvature inherently limits the radar range to less than 40 km when deployed at sea level, even when fitted onto the 15 meters telescopic mast, considering the Marte ER and Exocet Block 3 missiles ranges, respectively 100 and 200 km, MBDA designed the system to easy integrate over-the-horizon targeting, coming i.e. from a helicopter- or UAV-borne radar. If more than one CDS is deployed, coordination is required. A Fixed Control Centre can be built, linked to CDSs in data and voice via different means that can be Satcom, OTHT radio, HF radio or optical fibre; the FCC can, in turn, be linked upwards to the customer network, i.e. via a MIDS cabinet. A less evolved configuration might be fitted with a voice-only link to the upper network. If no FCC is deployed, one of the CDS command and control station can act as the master station, ensuring coordination with the other CDSs via data and voice links. The less expensive configuration sees coordination made only via voice communications. A standard CDS is formed by a Mobile Control Unit, a Mobile Sensor Unit, and up to four Mobile Firing Units, each one with a Mobile Reloading Unit, and one Mobile Maintenance Unit. The deployment of a battery takes less than one hour. No details were provided about the Qatari system, however, EDR understood that in terms of C2 the choice went for the higher end system. No details on the number of CDS and the number of firing units per CDS were provided. 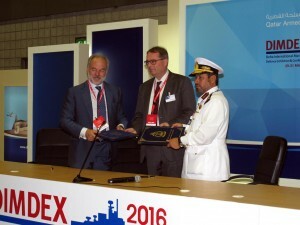 The Qatari choice not only marks the first success of the CDS but also allows MBDA to launch the full development of the Marte Extended Range, which will thus become a new product in the company portfolio. 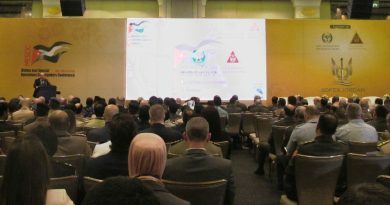 According to MBDA sources, the Qatari military has shown interest in the use of a family of missiles based on the same core, which might open up a further market for the Marte ER in the air-launched version, to be installed onto naval helicopters, the acquisition of the NH Industries NH-90 in both land and naval versions still awaiting contract signature after the MoU was announced at DIMDEX 2014. On the other hand, the Qatari need for the coastal defence system should reduce considerably the time between the MoU and the contract signature.